1. If Jesus were persecuted today, don't you think we would do it in an American Idol/reality show type format? 2. 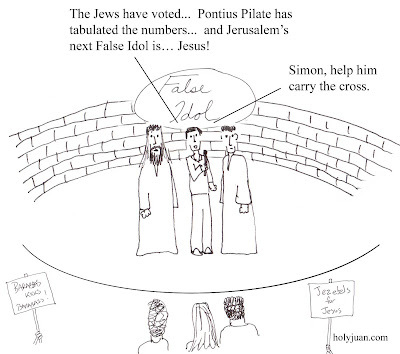 I thought the Simon thing was clever... unless you don't know the fifth station of the cross. Then it's probably not funny at all.